One of the primary goals of the woman's club is to be of service to the community. With this in mind, we conduct a variety of programs and participate in activities that help us reach that goal. 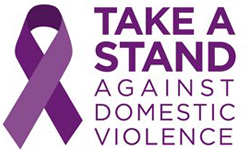 Domestic Violence Action Coalition - We work with and support the effort of DVAC to protect women who are victims of domestic violence. The group also offers education about domestic violence and facilitates a forum to pursue changes to the criminal justice system. 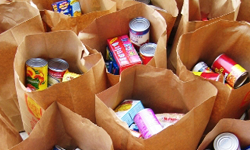 Helping Needy Families - We offer help to families, seniors, and others in need of food. 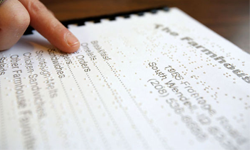 Twin Braille - Every month we collect books for this worthwhile organization, which helps children learn to read braille with their parents. 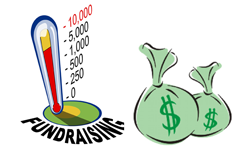 Support Charitable Causes - Pennies for Pines, Search Dog Foundation, Foster Children, and more. Police and Firemen's Luncheon - In appreciation of their efforts to keep our community safe, the Woman's Club has been hosting an annual luncheon in honor of the men and women in these two organizations for more than 30 years.